Gary "Flip" Paxton from Mesa,Arizona and Clyde "Skip" Battin from Galipolis,Ohio. 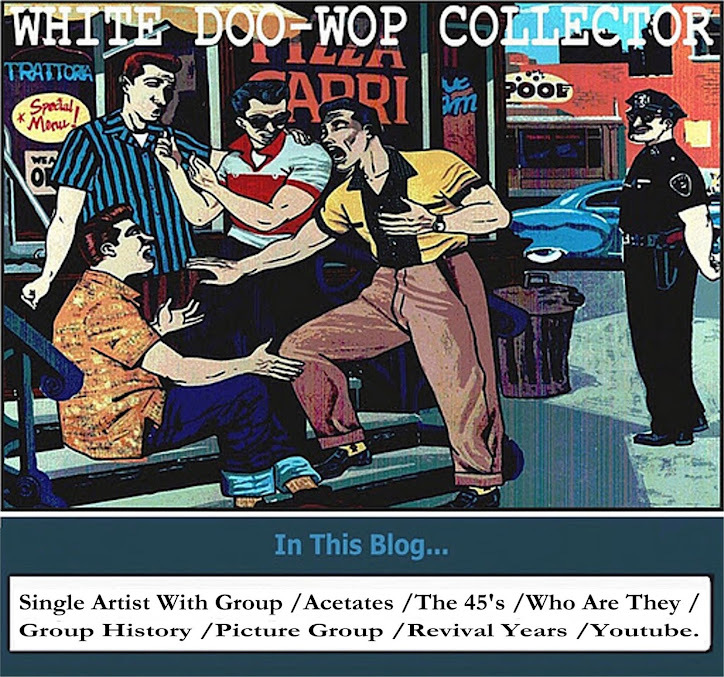 met at the University of Arizona.first known as the Rockabillies, they recorded on Rev as the Pledges,Chuck & The Chuckles on Shad,Clyde Gary and His Orchestra on Shad,Gary & Clyde on rev and May Records and finally moved to the Brent label, with the new name Skip And Flip. 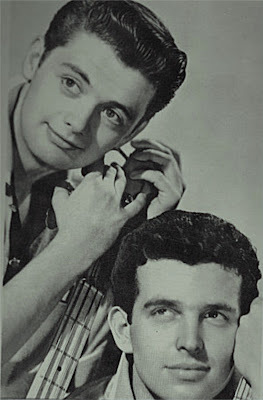 The duo charted in 1959 #11 with _It was It. and #71 with_Fancy Fancy. 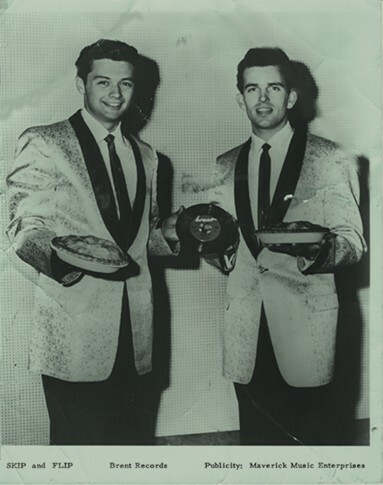 in 1961 charted again #11 with the Marvin & Johnny 1954 side_Cherry Pie. this tune have a imitation to the vocal group sound. Later Gary was part of The Hollywood Argyles(see in this blog) and Clyde of The Birds.